Sutton Place Synagogue > Rabbi’s Corner > Shabbat Shalom (from Jerusalem) from Rabbi Ain! Shabbat Shalom (from Jerusalem) from Rabbi Ain! Shabbat Shalom and greetings from Jerusalem! I am here for 10 days engaging in deep learning and conversations with people of all backgrounds as I grapple with texts, new and old, and explore ideas that are relevant to our world today. During my time here I am privileged to prepare for the High Holidays which will be here before we know it, as I am surrounded by 180 rabbis, educators, and Jewish professionals from many different backgrounds exploring different aspects of Israeli society. Being here is always a gift. It is not just a gift of time, where I can take a breath from the hectic-ness of NYC, but it is a gift of space. Breathing the holy air of Jerusalem, walking the streets, engaging in Hebrew, watching people live their daily lives in this incredible expression of Jewish sovereignty (in the days leading up to Tisha B’av no less) is nothing short of miraculous. Yesterday morning I went to the egalitarian section of the Kotel to help a family make a minyan so that they could celebrate their son’s bar mitzvah. I look forward to our SPS trip this coming December. Certainly there are challenges and there are struggles here, but the ability to “be free in our own land” is something that I hold onto ever day as I walk the streets to class, to the shops, and to the restaurants. I look forward to sharing more of my experiences when I return next Shabbat, and in the weeks and months ahead. In this week’s Torah portion, God gives Pinchas a covenant of peace. God explains the apportionment of the Land of Israel. The daughters of Zelophehad petition to inherit their father’s portion. Moses appoints Joshua as his successor. 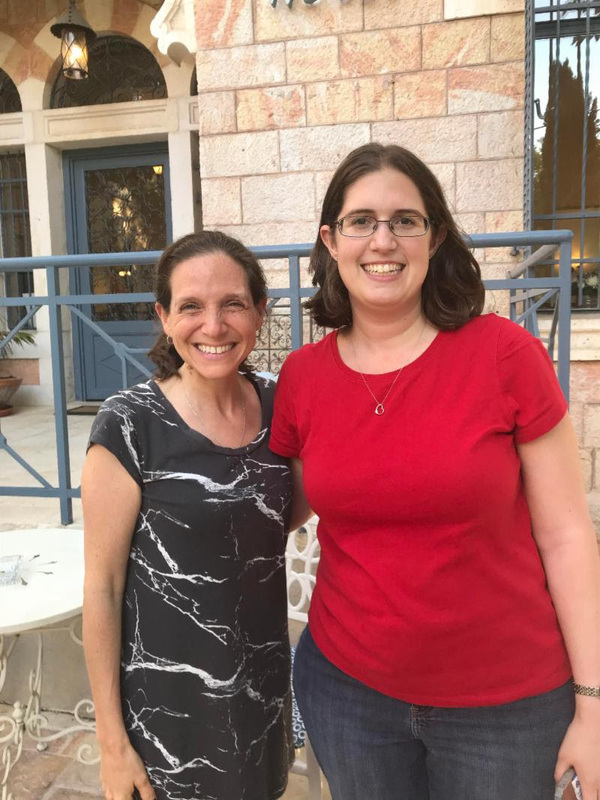 CHECK OUT THIS VIDEO OF ALYSSA SCHWAGER AND ME IN JERUSALEM TO WHY THE STREET CORNER WHERE MY HOTEL IS LOCATED IS MEANINGFUL TO SPS THIS WEEK! Shabbat evening services are at 6:15 pm and Saturday morning services are at 9:15 am. Jeff Jacob will give the dvar torah during services tomorrow morning. Candle lighting is at 8:11 pm. Thought question: Why is it so important that Moses appointed Joshua as his successor? It’s been a century since America’s greatest songwriter wrote his. most iconic song – so why did he keep it a secret for two decades? An affectionate look back at Berlin’s extraordinary life and career, and at a heartfelt song that became a national treasure. Sunday July 22: Morning services at 9:15 am which will include the reading of the book of Lamentations. SPS will welcome Br. General Bentzi Gruber to speak from the bimah on Shabbat morning during services about Ethics in the Field: a firsthand look into the strategic and ethical decisions that IDF commanders and officers make daily, has become influential beyond the borders of Israel. Br. General Bentzi Gruber is Vice Commander (reserves) of Division 252, an armored division of 20,000 soldiers. As an entrepreneur, he has established Internet startups, been a real-estate developer and initiated biotech research. He is also the founder of “Chesed In The Field,” a non-profit that brings together IDF reservists and chronically ill and disabled children for special events throughout the year instilling the values of community and social responsibility in the hearts of thousands of soldiers. Br. General Gruber also established “Ethics in the Field” to shatter myths and present the facts missing in today’s discussion of Israeli counter terrorism. Join the Young Professionals of SPS as we pair with OneTable to host a shabbat dinner on the roof! Under the stars we will share laughs, clink glasses and enjoy a beautiful meal – hope to see you there! Time to plan for the fall! If you have any questions about High Holiday seats please reach out to Harriet Janover at hjanover@spsnyc.org or call her at 212-593-3300.